Hold onto your virtual hats—it's National Health IT Week, a time for celebration and "awareness" of healthcare information technology. During the weeklong series of events held across the country, health IT aficionados will chat about population health, electronic health records, cybersecurity and other IT hot topics. The week comes on the heels of the Senate shelving the Graham-Cassidy bill, the latest failed attempt to undo the Affordable Care Act. Now, with a bit of breathing room, the industry has a week to focus its attention on something a bit more tangible and far less controversial. 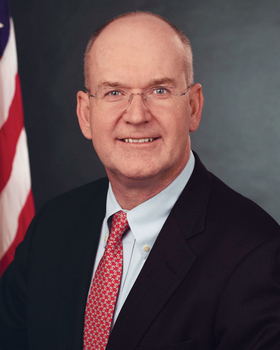 "National Health IT Week is the perfect time to reflect on how quickly the use of health IT has impacted the health system," said Dr. Donald Rucker, the national coordinator for health IT. "It is also time to look forward on how we can promote reliable clinical information flows and support a competitive market that will give consumers, clinicians and innovators more options on how to make use of electronic health information," he said. Rucker's office is working on implementing the 21st Century Cures Act, which calls for, among other goals, increased interoperability. Just last week amid the Graham-Cassidy hubbub, the Office of the National Coordinator for Health IT announced it's making it easier for IT vendors to certify that their products meet meaningful use criteria, giving them more time to focus on interoperability. During National Health IT Week, to achieve what Rucker set out above, the ONC will host events to "share resources, tools, tips and insight on improving the use and inteorperability of health IT." Those include a "celebration of advancements in interoperability and usability," hosted Oct. 3 by Principal Deputy National Coordinator for Health IT Genevieve Morris and Deputy Assistant Secretary for Health Technology Reform Dr. John Fleming in Washington, D.C.